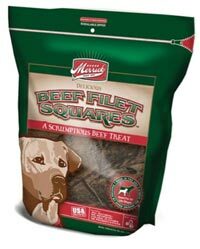 The FDA requested the recall of Beef Filet Squares for Dogs in 10 oz. plastic bags of marked with “Lot # 10084TL7 Best By Mar 24, 2012” on the top of the bag and on a sticker on the bottom. 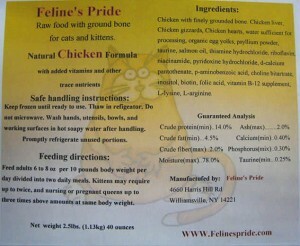 The FDA tested samples collected from bags bought in a store and the sample tested positive for Salmonella. For refund, return unused portion to place of purchase. Your firm delayed your public communication to alert consumers who may have the recalled product in their possession until after FDA issued an FDA Health Alert on January 14, 2010. Your recall communications to distributors, retailers, and consumers only included case lot coding 9323, which was different from the lot coding on some of the individual bags. Due to a labeling error, some of the affected bags were coded with the lot code 9333. Your recall letter did not identify the hazard involved. Your letter to wholesale and retail consignees indicated the product was recalled because it “may not have been processed properly.” Recalls can be less effective if the recall communication does not concisely explain the reason for recall and the hazard involved. It’s this sort of arrogant response form a company that ticks me off. Looks like the snarky comment (by Ken Wilks who said he was a Merrick employee) on my post about the 1st recall was indeed a load of crap. The expanded recall includes 55 more products. I strongly encourage you to check the FDA’s list to make sure something you use isn’t affected. Consumers who have any recalled products should contact United Pet Group or the place of purchase for further instructions. 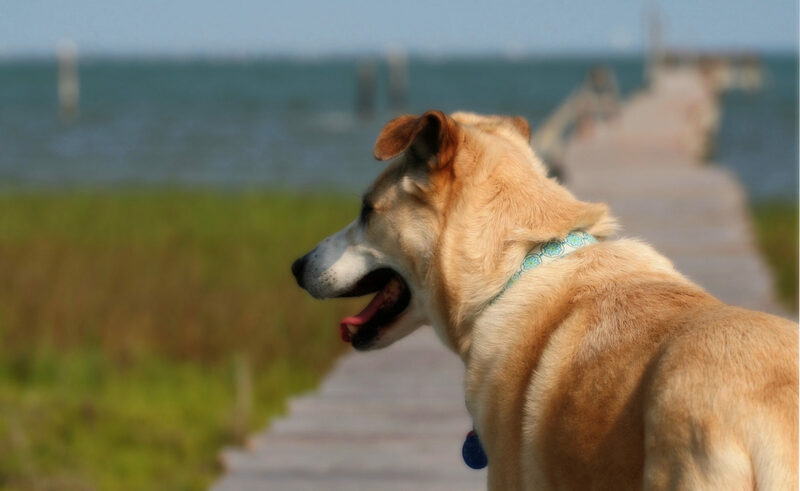 United Pet Group at 1-877-399-5226, Monday through Friday, from 8:30 am to 5:00 pm EST. 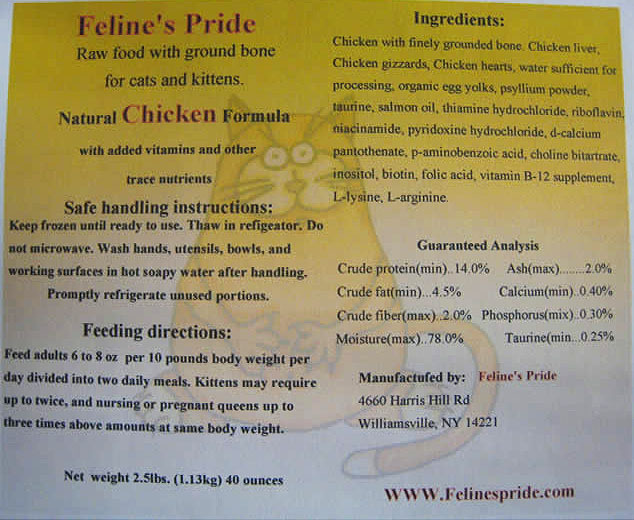 Due to possible Salmonella contamination, Feline’s Pride is recalling one of their frozen products—Feline’s Pride Raw food with ground bone for cats and kittens, Natural Chicken Formula, Net Wt. 2.5 lbs., produced on June 10. It’s packaged in uncoded plastic containers and sold frozen to private customers nationwide. This recall affects only orders placed and shipped from June 10-17. It’s not clear from the announcement whether the Salmonella was detected through internal testing or through FDA testing. If you have product affected by this recall, seal it on a plastic bag and dispose of it in a secure, lidded trash can. Wash your hands thoroughly. If you have questions or need a refund, contact the company at (716) 580-3096, Monday –Friday from 10 am – 4 pm EDT. 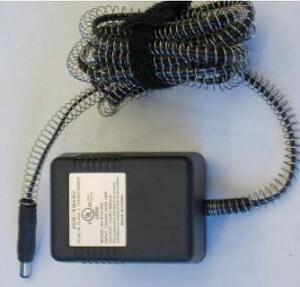 U.S. Consumer Product Safety Commission is recalling the power adapters used with PetSafe Heated Wellness Sleepers sold at pet stores, in catalogs and online from September 2006 through April 2010, for between $70 and $110. The recall is because when the metal connector is removed from the bed, it can cause arcing between the coil spring and the connector, posing a fire and burn hazard to consumers. Yikes! 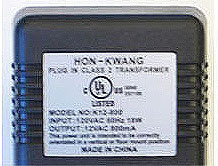 The recalled power adapters are identified by the markings “HON-KWANG”, “PLUG IN CLASS 2 TRANSFORMER”, “MODEL NO: K12-800” and have a spring coil covering the length of the electrical wire. Heated Wellness Sleepers with power adapters without springs are not affected by this voluntary recall. 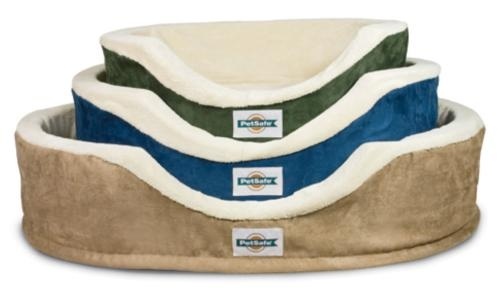 The beds themselves have either Hunter Green/Sand, Military Blue/Sand and Khaki/Sand covers and have a jacquard PetSafe logo stitched to the center front. Additional product labels include the Radio Systems Customer Care phone number. Consumers should stop using these products immediately and call Radio Systems Corporation’s Customer Care at 1-800-732-2677 for instructions on how to receive a free replacement power adapter with the return of the old power adapter.